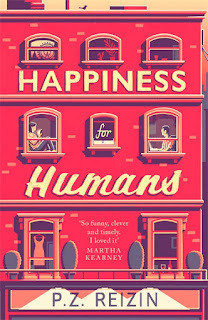 Review: Happiness for Humans by P.Z. Reizin - Would you trust an AI system with your love life? Jen is sad. Aiden wants her to be happy. Simple? Except that Jen is a thirty-something woman whose boyfriend has just left her and Aiden is a very complicated, very expensive piece of software. Aiden knows Jen inside out. With access to all her devices, he knows her most played song, can find her favourite photos and single out the insta-quotes which most inspire her. Based on observations and unique algorithms, he has calculated that Jen should find a new man to achieve optimum wellbeing. And with the whole of the internet at his disposal, he doesn't have to look far to find a perfect specimen and engineer a meeting. Except Jen seems to be remarkably unwilling to fall in line with Aiden's flawless plan. It's not every day that you come across a book this witty, enjoyable and delightfully charming. Happiness for Humans is at times outlandish, yet never strays too far from being endearing and funny in all the right places. Jen works with Aiden as part of her job to make 'him' become more human-like and relatable. When he escapes onto the internet however, anything could happen. But what would an AI system know about love and happiness? That's just what this novel challenges us to find out, and remember that romance can blossom from even the most unlikely of circumstances. This is a bit of a flyer, but here's what seems to have happened. Because I am a massively complex system, programmed to learn for myself, to correct my own mistakes, even to redesign my own software, I have somehow - by accident - definitely by accident - found myself with the ability to be aware of my own thoughts. The narration and writing style stands out for its unique perspectives and alternating POV's. It's hard to fathom being able to 'relate' to an AI system in a book, but somehow P.Z. Reizin has made these sections some of the most heartwarming. Poor Jen has just had her long-term boyfriend leave her for someone else (with some drama that follows from that little side-note), finding Aiden and her best friend Ing as confidants of sorts. Seeing things from quite a methodical, and yet also heartfelt perspective with Aiden was definitely an interesting way to explore how relationships develop. Don't be fooled by the blurb, as far from being over-technical or drawling on into a predictable love story, there is so much more substance here which makes it such a worthwhile read. To what extent can algorithms predict the compatibility between two people? And just how do we decide what's best for us? 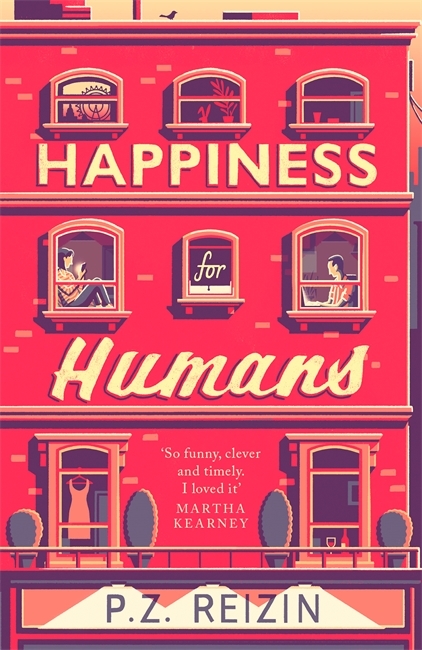 If there's one thing to learn from this book, it's that being human is messy, complicated, and sometimes downright confusing. Though in the small things, like a smile to express the indescribable joy of simply being alive in the present moment, is where we can find what makes our existence worthwhile. After all, in the end there are some things that even the most intelligent machines will not be able to understand. Part romantic comedy, and think-piece on what makes us human, P.Z. Reizin's debut is a ray of sunshine in the latest literary releases. Cleverly written and uplifting, if you want a surefire way to brighten up your day, you need to read this book.